Low wear lap joint, riveted and able to withstand high levels of load. The Wiha Volt Detector is both handy and easy to use. The integrated LED in the plastic tip illuminates red and emits audible warning as soon as AC voltage is detected. For this, the volt detector is simply held adjacent to any terminal or led along an isolated cable using the plastic tip. The LED and audible warning are triggered when the volt detector identifies a live energized wire through the insulation. The measuring sensor ensures particularly safe work. It detects AC voltages between 90 and 1000 volts with the precise proximity sensor. At just 2 oz, it is very lightweight. The device is powered by two AAA batteries, which can be replaced quickly and easily: simply press the middle of the clip, pull back the yellow cap, replace the batteries and replace the cap. The Wiha Volt Detector is tested in accordance with applicable standards. For safe use always check the detector by first testing on a known live energized insulated cable to verify function and working battery levels. According to the Electrical Safety Foundation (ESFI) more than 30,000 Americans experience electrical shock injuries annually. Don't be a statistic! Your personal protection should come first. Check for the presence of voltage and always use insulated tools when working on electrical circuits. Great WIHA quality at an amazing price. This set is lightweight and compact, yet I had no problem cutting through 12-2 with Ground Romex. The voltage detector worked as desired and allowed me to avoid cutting into a hot wire. Got these as a combination; great value. Tools are just as described. Durable & great fit & finish. The voltage detector is a must have! 329XX-series Wiha is now made in Vietnam or something. I learned that after a piece of blade chipped off my cutters in like 5 days of occasional use. Thanks to excellent KC Tool customer service I got my warranty replacement ones in no time. 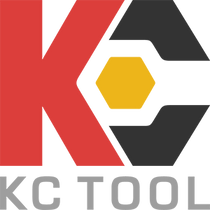 So, five stars to KC Tool, two stars to Wiha for trying to fool its loyal customers. Kinda sad they do things like that. I own quite a few other Wiha brand tools and their [previously] impecable quality was something I really trusted. Not anymore. Great quality! Just what I needed to help me replace a light switch.